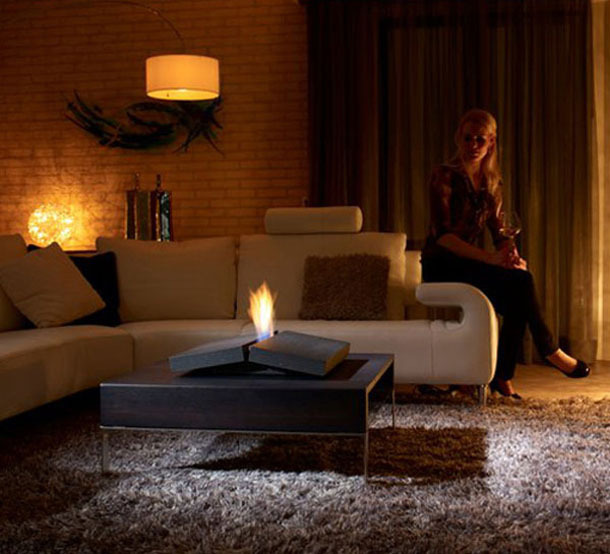 Modern forms of bioethanol fires very often refer to nature, often by bringing to mind very surprising associations. Safretti in collaboration with Porsche Design Studio created a portable ethanol fireplace called Tekto. This small size bio fire is a simple, elegant, shiny, steel block that will fit into any contemporary interior, especially the one with a modern decor. Outside, its charms with its simplicity, elegance and tranquillity, yet it is just enough to part the two elements of the body to open a block, and warm and colourful flames will be dancing along the crack. In this way the designers wanted to refer to the archaic connotations of the fire emanating from the cracks of the cracked earth’s crust. 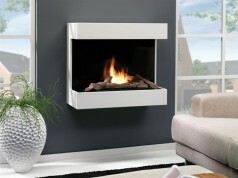 This enables us to obtain the hypnotic effect of a natural burner at any place in the interior and of course without the chimney.